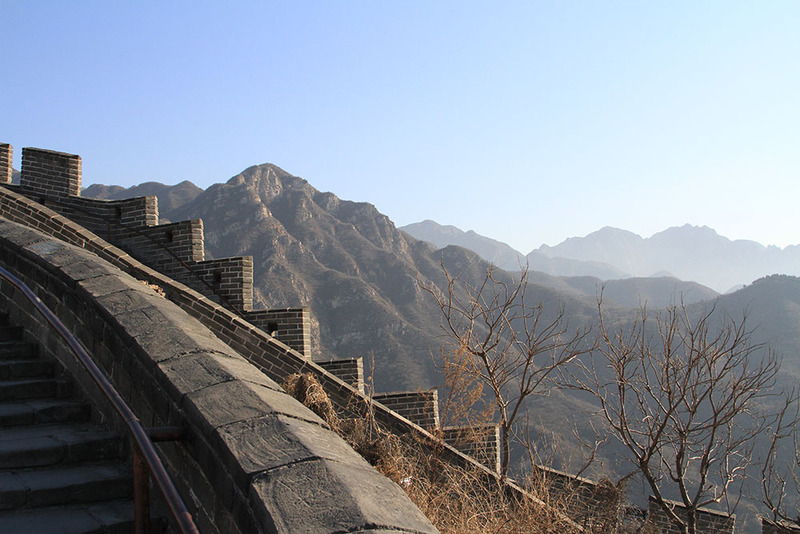 The Great Wall of China cannot actually be seen from space – that’s completely fabricated. But, this 2,300-year-old, once 5,500 miles long neatly stacked collection of stones, is still astronomic in its impact. 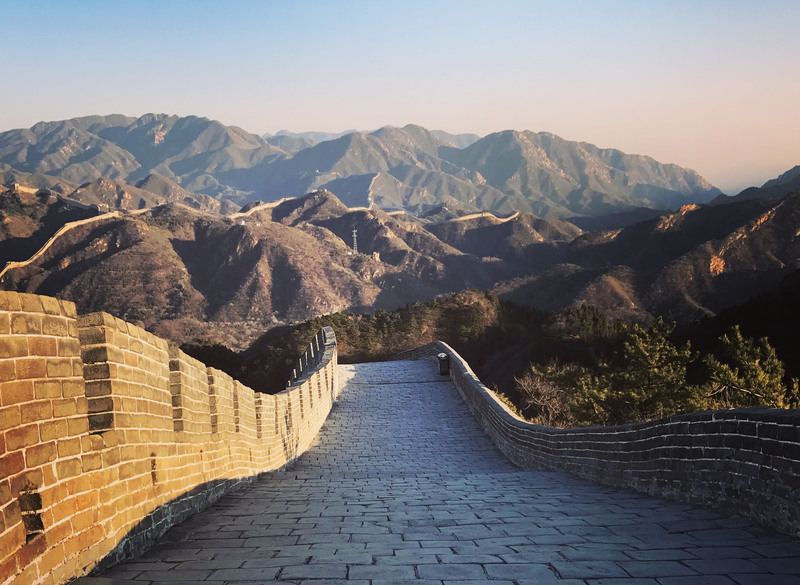 There is no other feeling on this planet like standing on the Great Wall of China – and all who’ve been would agree. My trip began December 6. It was cold, around one degree, and up on the wall, it would become even nippier. Whilst my wintry visit demanded a few more layers, it held off the commonly associated hoards of tourists and, at 6 am, made way for the bright blue skies that winter mornings deliver so well. The hoards were actually entirely discouraged. 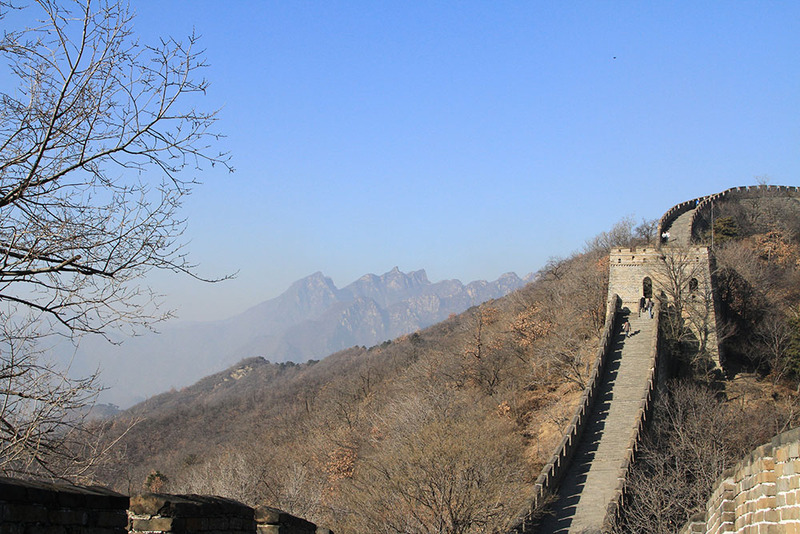 (Basically, December is the best time to visit the Great Wall of China in my opinion). At 8 am when the gates opened at Juyongguan, there was no-one else there. 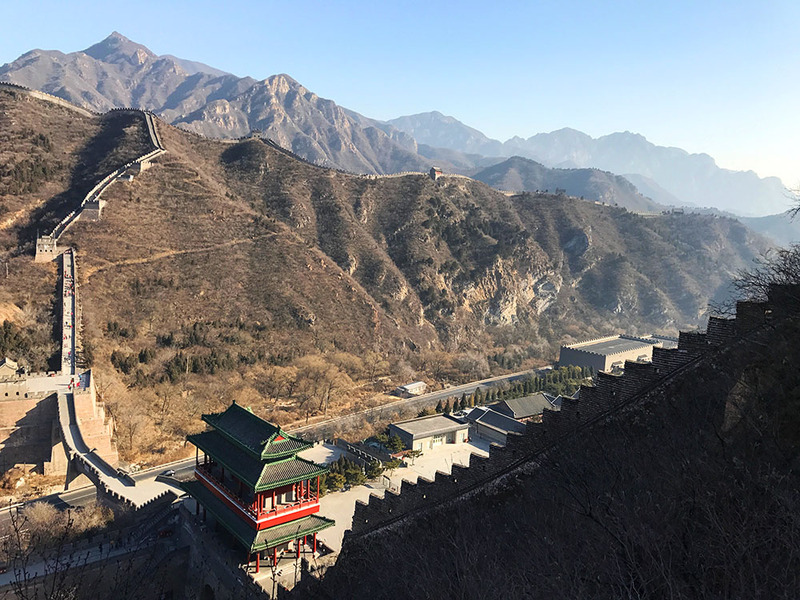 Juyongguan is relatively popular with a mix of tourists, famous for its ornate fortress which perches atop the wall in the section that hugs the valley floor. From car-park to wall it was a short three-minute wander, before being tasked with deciding left or right. Both options were pretty steep but the right turn is not for the faint-hearted, demanding a near ‘hand and knee’ scramble to ascend up to two-foot high steps. We ended up going both ways – mistakenly exploring the easier route first. As the wall plateaued and steps dispersed, the roads below slipped out of view. Fresh golden sunlight lit up jagged, mist shaded mountains and a familiar sandy orange glow of the wall started to realise. 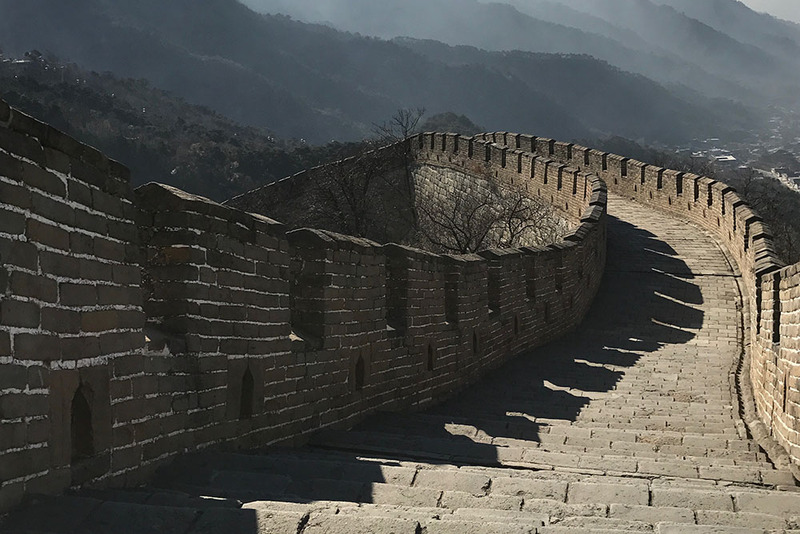 The Great Wall of China was constructed with the intention of keeping the Mongolians out; vicious warriors and rulers of once the largest empire in the world. Turning a full 360 degrees on the cobles below, the landscape in every direction seemed impassable – wall or no wall. In the morning light this stretch of the wall is magnificent. You can’t walk too far – it’s blocked off by a gift shop at one end. Whilst I wasn’t too happy to be greeted by key rings, it provided the perfect opportunity for an ice cream and a moment to digest – both Mr Whippy and the magnitude of where I was. Most popular among Chinese tourists, at Badaling I looked for the crowds and turned in the opposite direction. The northern route is the most trodden – typically characteristic of the grand arching sections of wall often captured in photographs. Those taking this route were missing out on the very view they’d been inspired by. As I scrambled up the uneven steps in the southerly direction I was almost alone, apart from a few other Europeans and, looking across at the wall opposite with the sun behind me, the grandeur of this construction became so apparent. 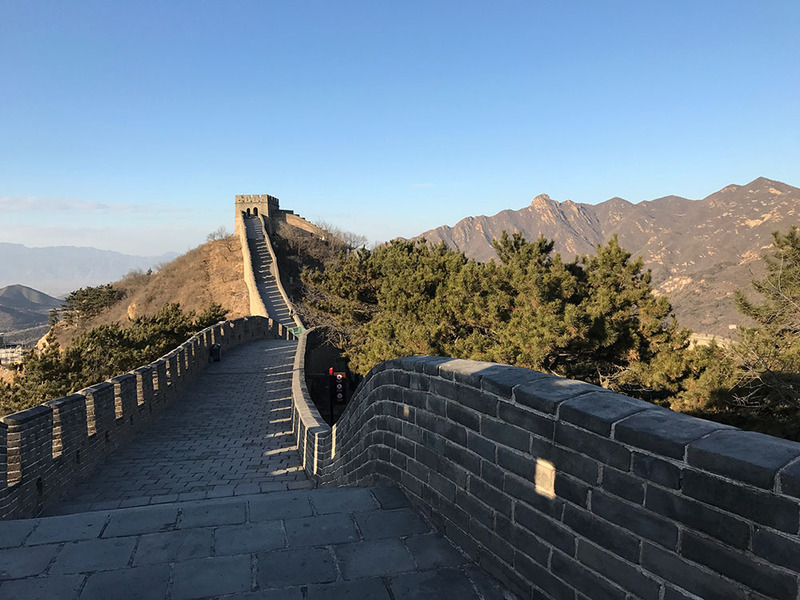 The landscapes around were similar to Juyongguan – dry, mountainous, rugged – but small deviations in the styling of the wall began to become apparent. 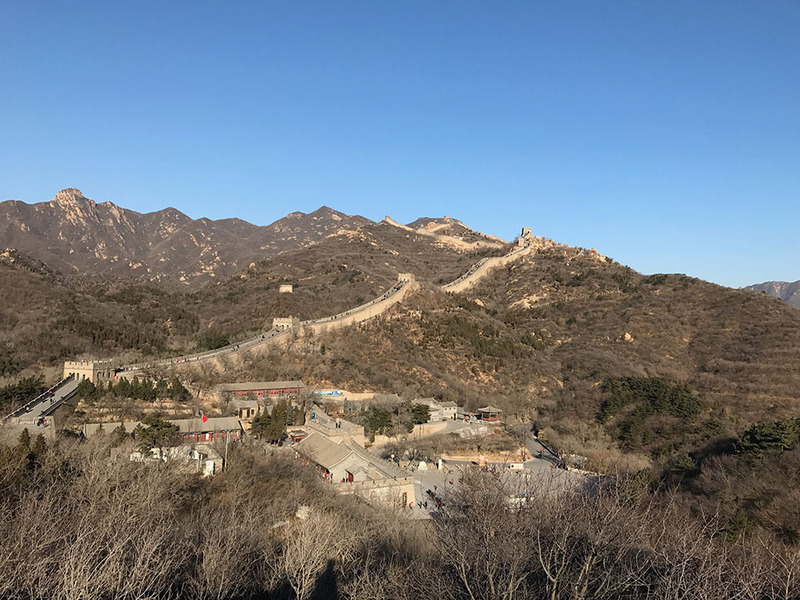 The turreted sides of the ‘typical’ Great Wall of China were only on one side now, with the western facing brickwork a lower and more modest build. The stone floor was made from smooth sided and more roughly matching bricks, whereas before they were almost uniformly square and sharp edged. It presented another period of time in history, another batch of sweat blood and tears. I continued walking as far as time allowed, noting that the return journey would take just as long. And, now with no one ahead of me, there was little to spoil the picture I’d come for – other than a litter bin. The final stretch I visited was the most well restored out of all the open sections. Here you’ve the option to take a cable car to the top, or start at the bottom and clamber up 400, pretty spread out, steps. The cable car seemed a completely wasted experience, so I set off on foot, stopping by a small cabin, squeezed into by a grumpy looking fella, to pick up some chocolate-fuel. At the top, again you choose from either a left or right turn. Both ways continue for around 10 fortresses / 1.5 hours each way. It was a clearer day today and the contrast between wall and ground level seemed greater. The mountains were more colourful, greener, and the landscapes alive. Mist formed in the hollows between mountains, and nothing disrupted the view for miles. It was still nippy in northern China’s winter, but there was plenty to distract. Another style presented as arched windows decorated the sides of each fortress – making for a perfect photo opportunity. Each one passed took me closer to fortress number 6, where I’d ride a toboggan to the bottom. Not particularly endearing to the history or importance of the wall, and nothing more than a gimmick, it was a touch disappointing. But, after 38,000 steps in two days, and 89 flights of stairs, I think it was deserved! 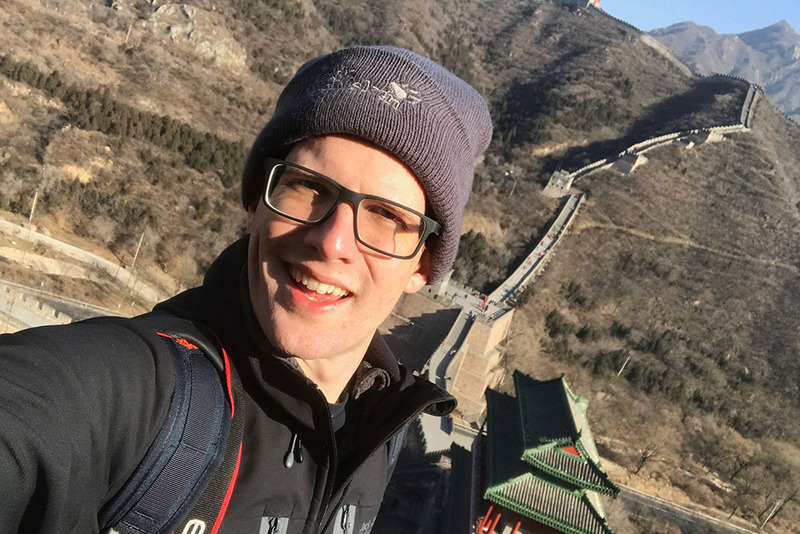 My experience on the Great Wall of China was incredible, and something I will likely only get the chance to do once. Looking back, I visited sections of the wall that were either partly or fully restored. At each end of my walk, I peered over a barrier to the unrestored section beyond and wanted to go further. I wish in hindsight I’d visited a few of the other places that were less ‘done-up’. The easiest way to get to the wall is on a tour. We used a company to put together a package for us with the three places. In hindsight whilst this was fine, it wasn’t the experience we wanted. I’d advise finding a tour company that will provide you with a driver only, cutting the cost of the guide. You choose where you want to visit and make the itinerary for them. I would love to go to China. It’s a beautiful place and definitely a great wonder. Enjoy your continued travels.